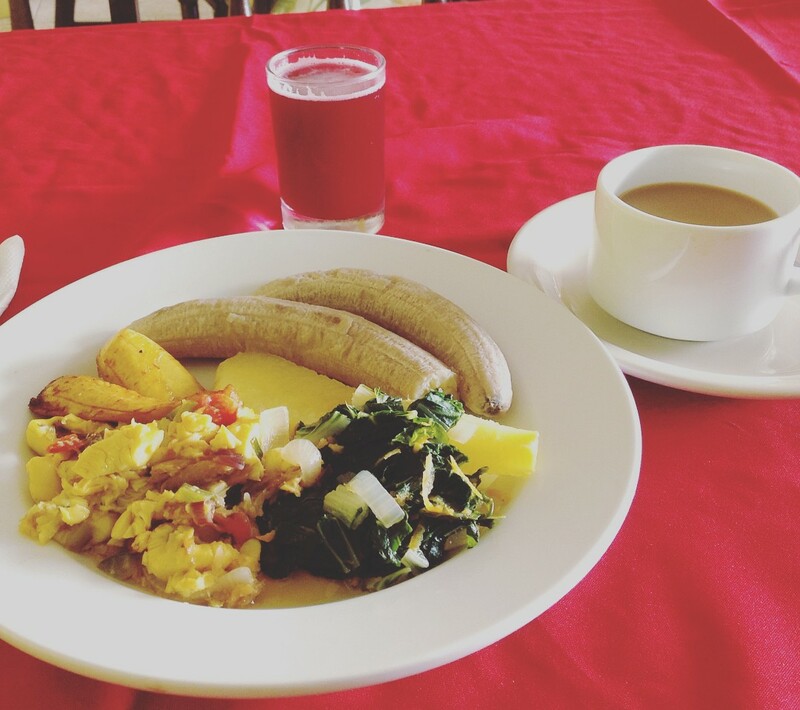 Enjoy the taste of real Jamaican cuisine from the Resort’s Old Country Kitchen where the daily menu offers exotic, delectable delights for your taste buds. 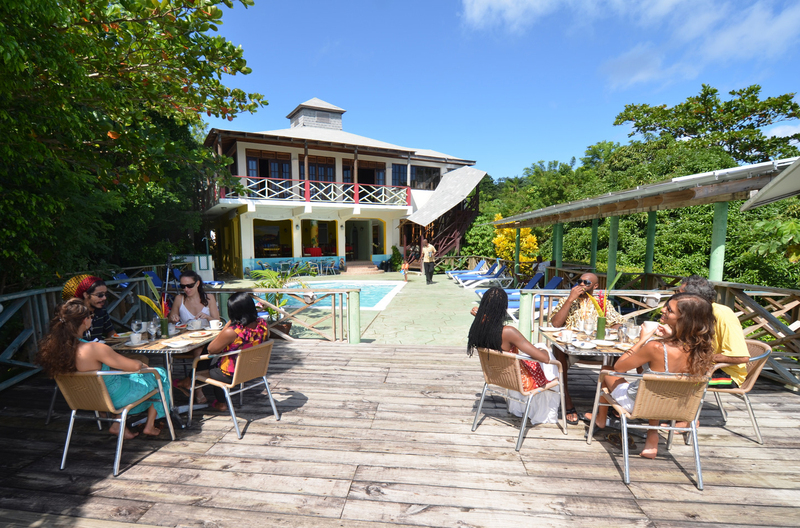 Dine inside the warm, friendly Old Country Kitchen’s Restaurant or on the deck overlooking the beautiful Turtle Crawl Bay with an absolutely breathtaking view of the turquoise sea that sets the ambience for a perfect dining experience. All topped off with Blue Mountain hand-picked, grounded coffee brewed freshly each morning; chocolate tea (from locally grounded cocoa beans); or the selection of authentic Jamaican herbal teas. 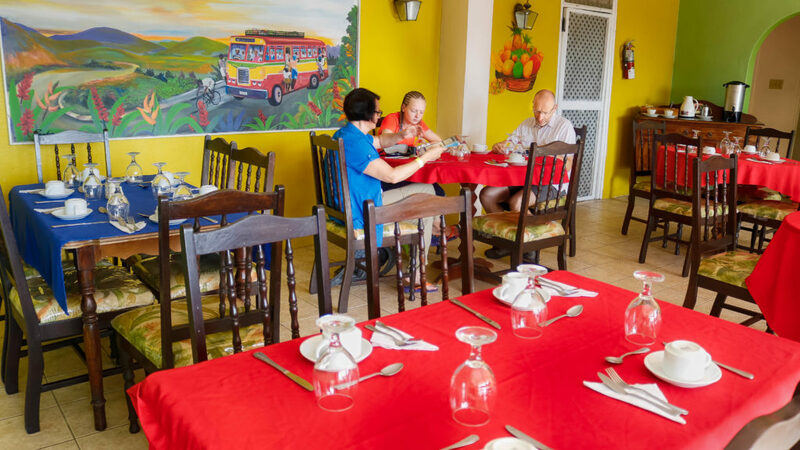 The friendly and courteous staff is ready to serve and exceed all expectations of fine Jamaican dining. For lunch and dinner feast and savour the Portland Jerk chicken or pork and mouth-watering fresh seafood. Guest and patrons are also welcome to have a drink at the bar/lounge stocked with the widest range of Jamaican spirits as well as alcoholic beverages from around the world. Ask about our holiday and special events service. We specialize in weddings, honeymoons, birthdays, conferences, meetings and retreats. If there are any dietary requirements, allergies or special requests every effort will be made to accommodate. 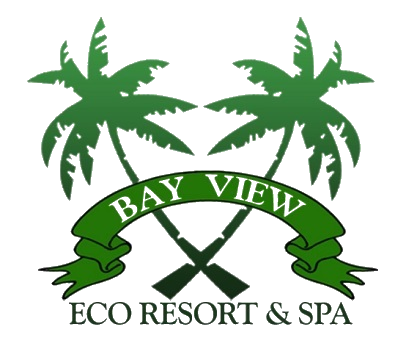 Enjoy the taste of real Jamaican cuisine anytime from the Old Country Kitchen here at Bay View Eco Resort and Spa.